Mazda MX-5 enthusiasts will rejoice at the news that the revised 2019 convertible benefits from a slew of technical upgrades, not least a bespoke version of the Japanese OEM’s naturally aspirated direct-injection 2.0-liter Skyactiv-G gasoline engine. 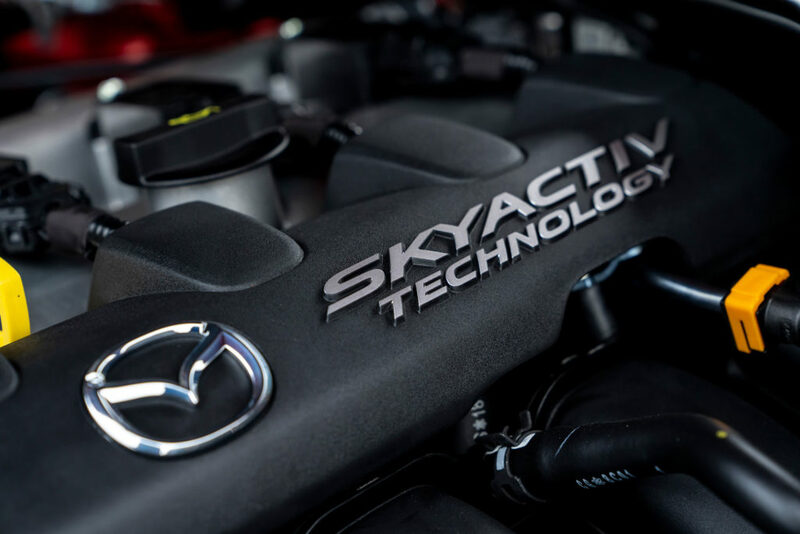 More powerful, higher revving and acoustically tuned, the new 2.0-liter Skyactiv-G’s power output has increased from 160ps to 184ps, with torque up from 200Nm to 205Nm at 4,000rpm and the redline raising from 6,800rpm to 7,500rpm. All this results in a 0-100km/h (0-62mph) sprint time of 6.5 seconds, representing a 0.8-second improvement on the previous iteration. Aurally, a new low-inertia, dual-mass flywheel helps to deliver the crisper engine note, while the tuned silencer delivers a muscular and linear sound throughout the rev range. What’s more, due to the introduction of Mazda’s i-ELOOP kinetic recovery and i-stop stop/start technology, the new 2.0-liter engine, which has been homologated according to WLTP/RDE test cycle requirements to achieve Euro 6d temperature emission compliance, emits less C0₂ than the outgoing 160ps car. Meanwhile, the response time of the intake valve and throttle has been shortened to improve the initial engine reaction to accelerator pedal application. Air flow has also been improved thanks to the installation of larger throttle and air intake ports, while exhaust gas losses are reduced by a high-lift exhaust camshaft and lighter exhaust valves – overall there’s a 30% reduction in pumping loss. The upgraded 2.0-liter also benefits from reduced internal mass and friction. Piston weight has been reduced by 27g, the con-rod is some 41g lighter and low-tension asymmetrical barrel piston rings and crankshaft counterbalance weights all help to reduce weight and friction. Combustion has also been improved with lower air intake temperatures, while high-diffusion atomization injectors increase torque and power by expanding fuel vaporization. Elsewhere, die-cast aluminum head covers are designed to be reminiscent of the original MX-5 (launched in 1989) and weigh the same as a plastic cover. 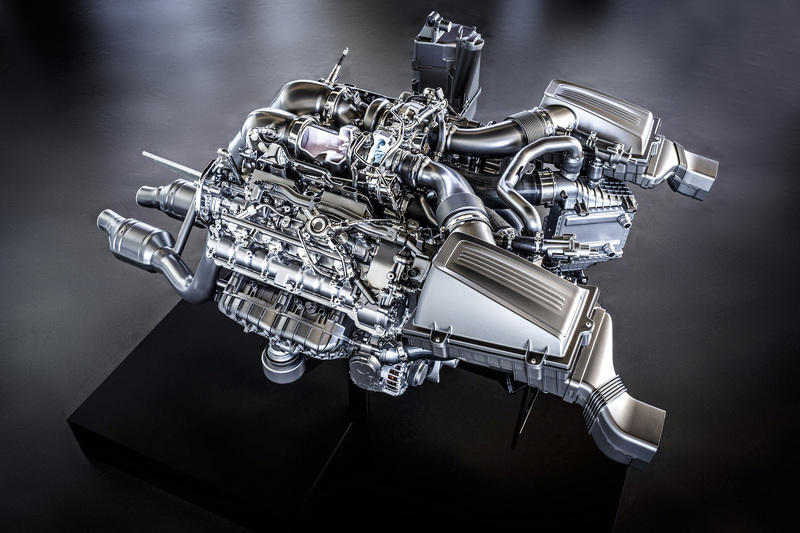 A small radiator – repositioned closer to the car’s center of gravity to help optimize weight distribution – features air ducts and flaps to regulate air pressure from the fan to enhance cooling efficiency. In addition, Mazda’s 4-2-1 exhaust manifold has been redesigned for the MX-5’s rear-wheel-drive layout. The 2.0-liter engine is also mated to a specially developed version of Mazda’s Skyactiv-MT six speed manual transmission, which has been modified to account for the MX-5’s front mid-engine and rear drive layout. 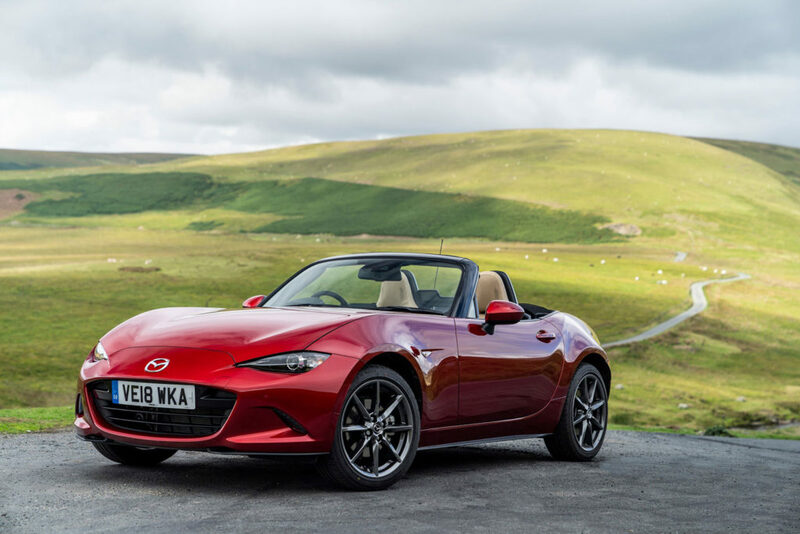 Changes include a simplified linkage to reduce sliding resistance in the gearbox and an overall weight reduction of 7kg over the gearbox in the outgoing third-gen MX-5. 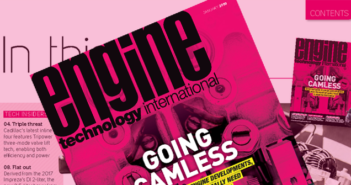 Other transmission highlights include a direct-drive sixth gear that lowers the final gear ratio to raise real-world fuel economy by reducing resistance, and an ultra-compact limited-slip differential.